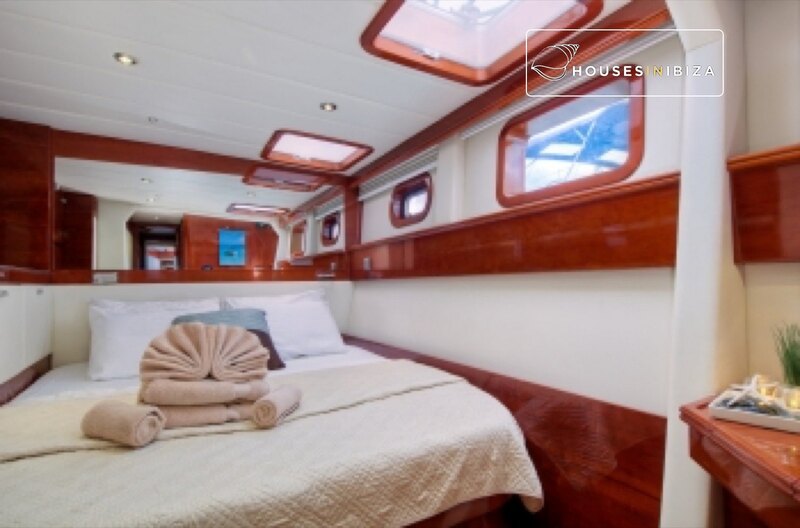 Soon Come is a beautiful, luxurious sailing catamaran, which turns heads in every anchorage she enters. 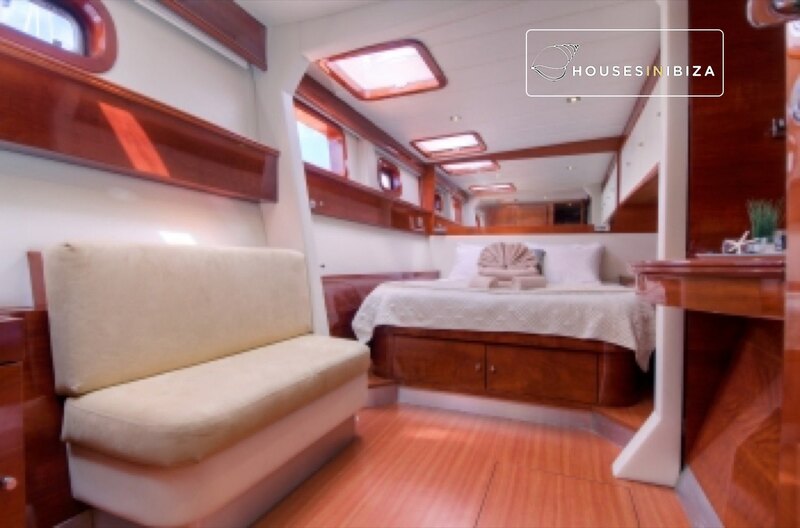 With her classic blue hulls and beautiful teak decks, you will fall in love with her even before you step on­board, but once you do things only get better. 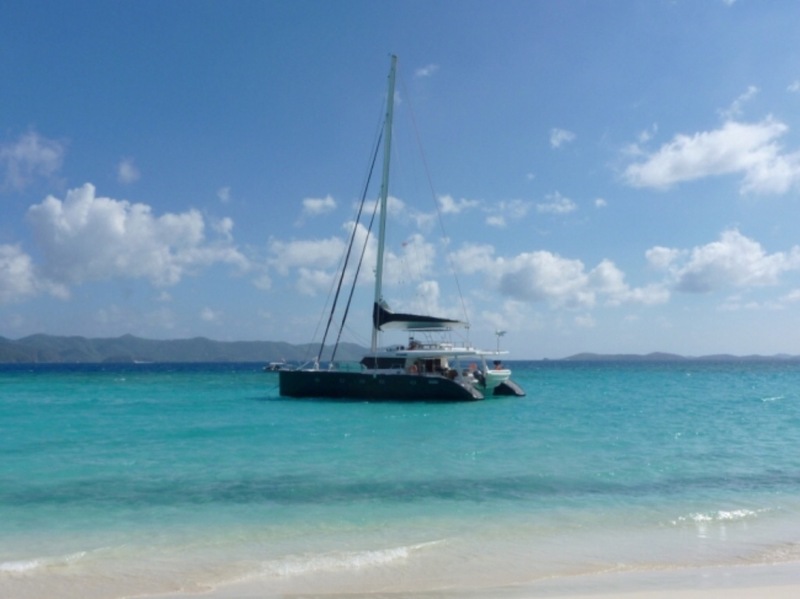 The beauty of sailing on Soon Come is that whatever you are looking for she and her crew can provide it. 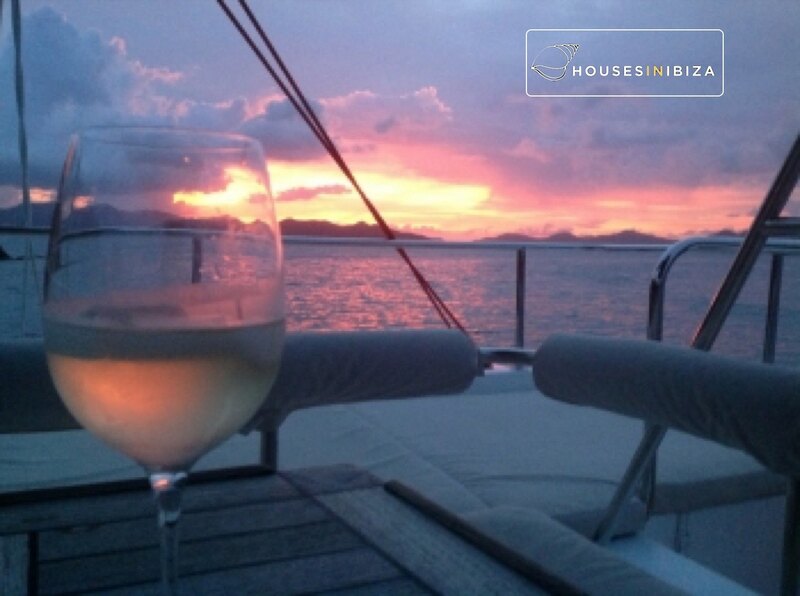 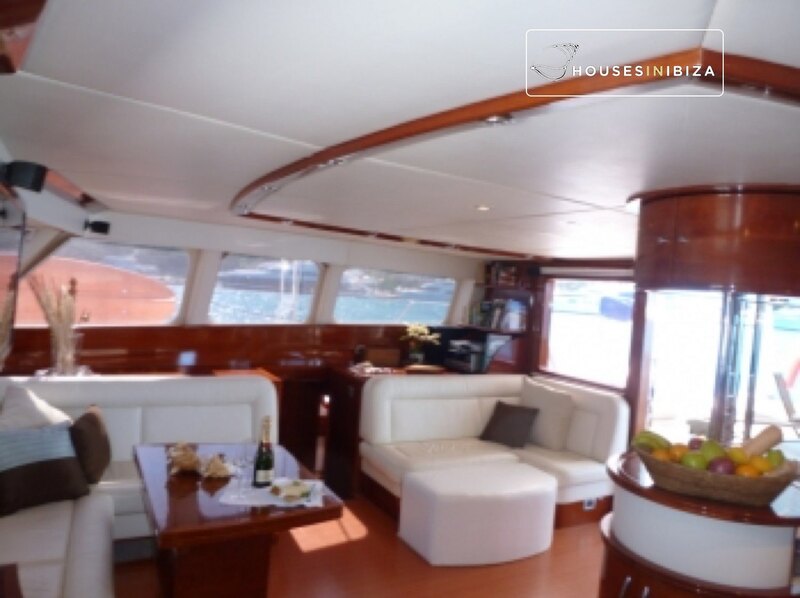 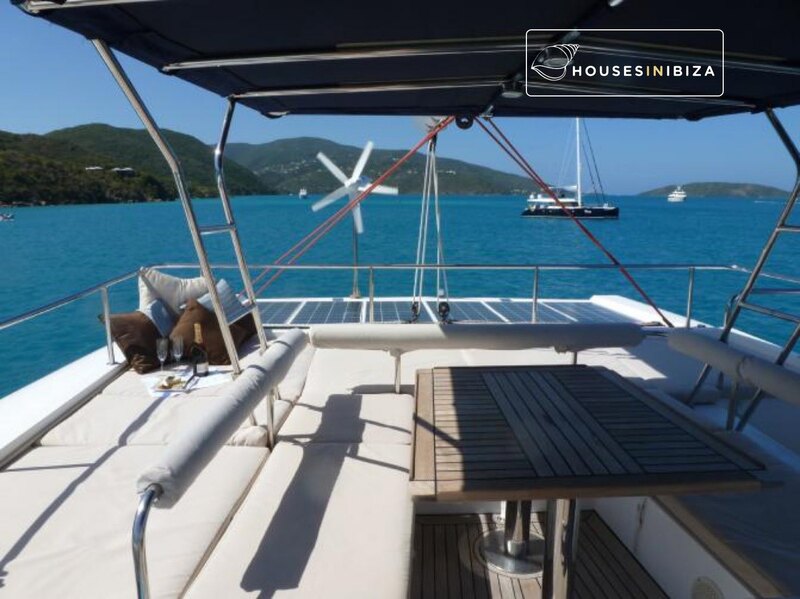 Whether it is lounging on the massive sun beds in the shade of the cockpit; experiencing her exhilarating sailing performance; resting in her beautiful air­conditioned en­suite staterooms; sipping cocktails at sunset on the flybridge; soaking up the sun on the huge trampolines or relaxing in front of the 40' flat screen in the saloon, Soon Come will accommodate you. 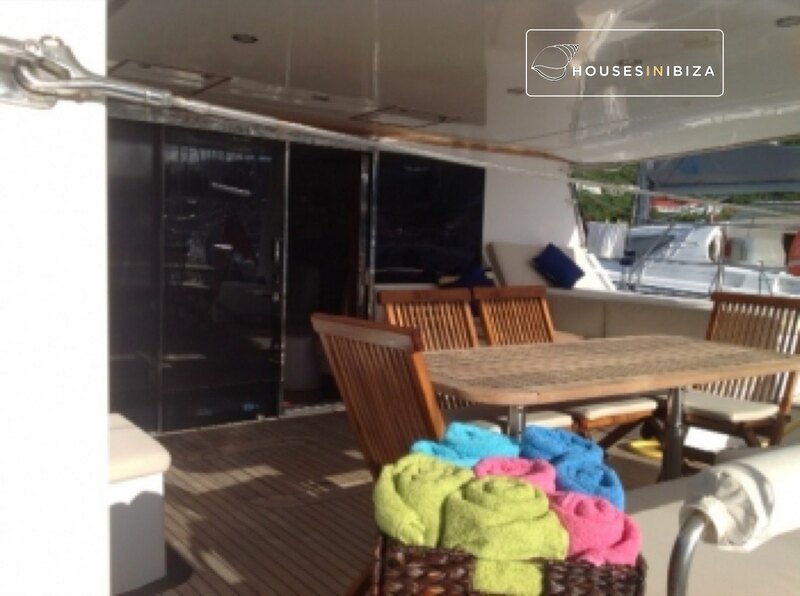 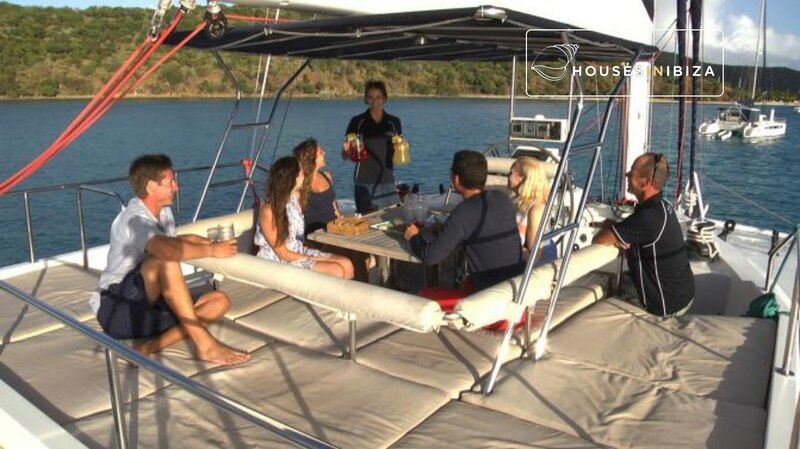 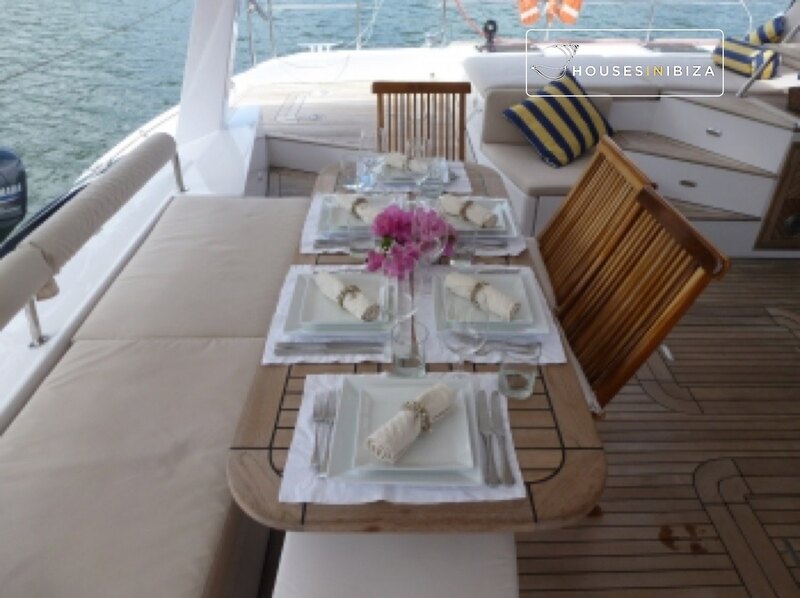 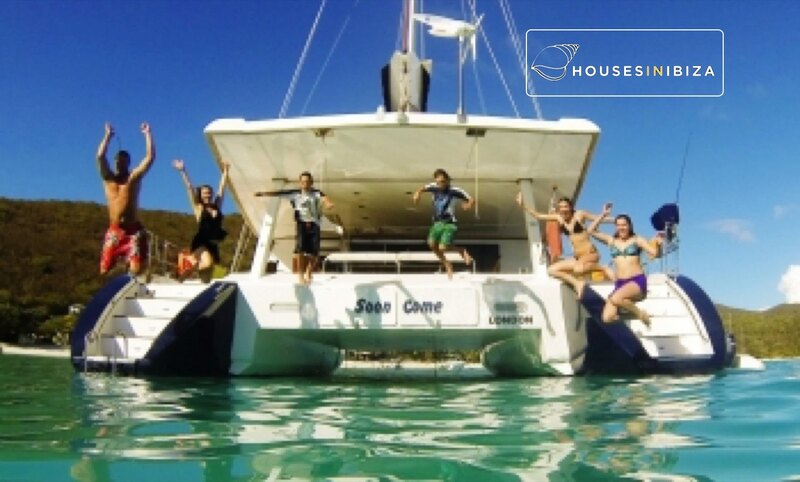 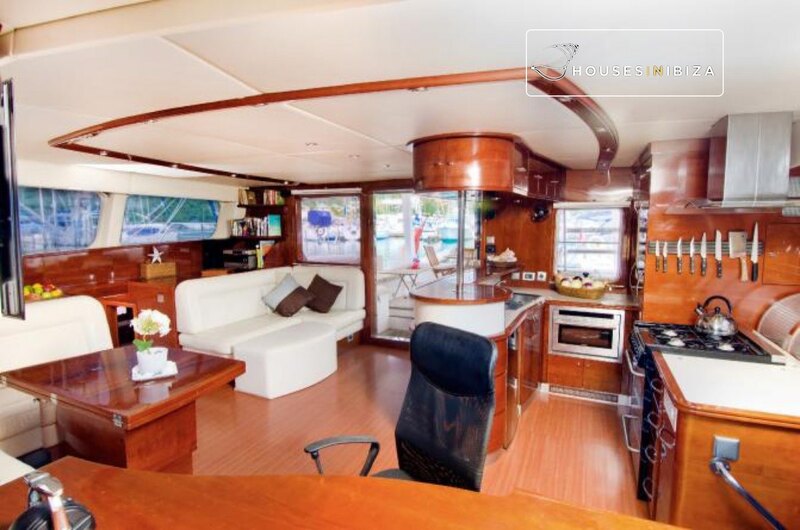 This Catamaran has four luxurious, bright and airy cabins which can accommodate 6 guests or families of up to 8 guests. 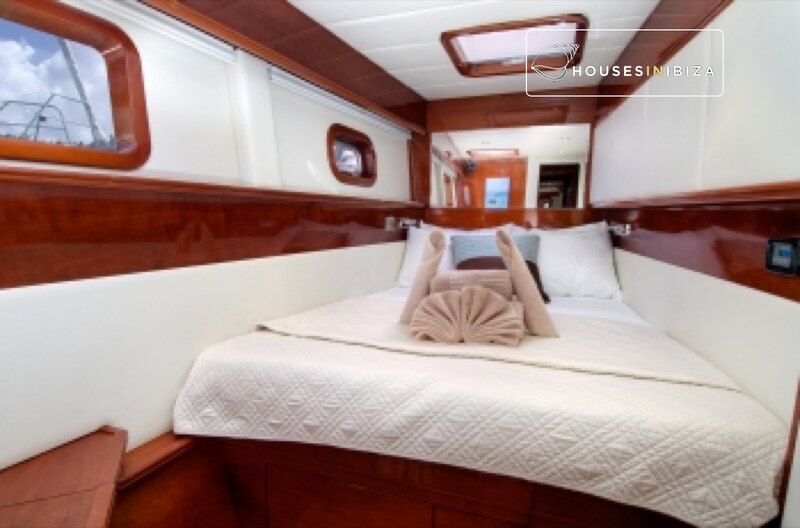 The Master cabin has a queen size bed, sofa, vanity desk, shower and toilet. 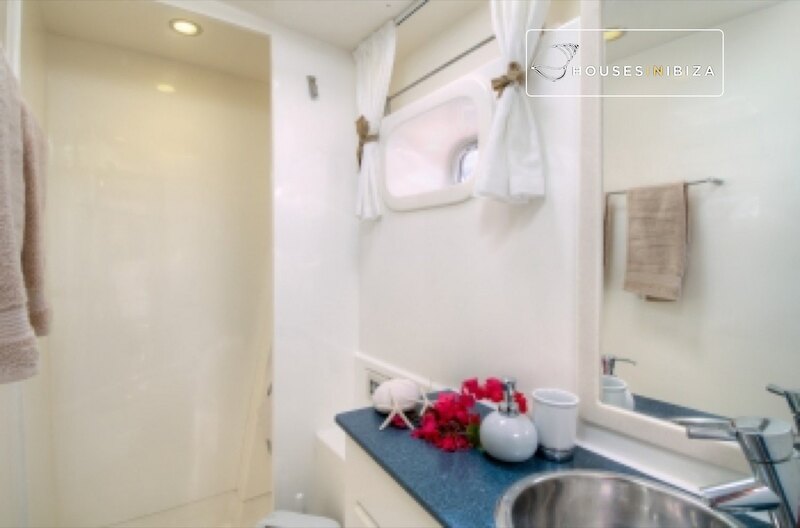 1 guest cabin has a queen size bed, shower and toilet. 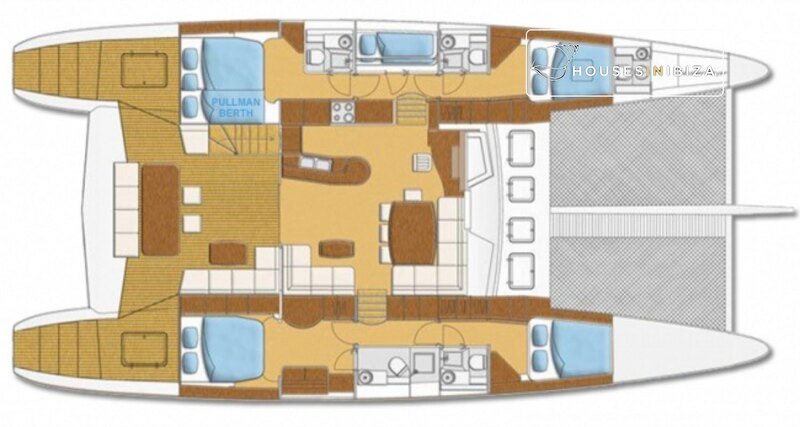 1 guest cabin has a double bed, shower and toilet, and one guest cabin has upper & lower single beds, shower and toilet. 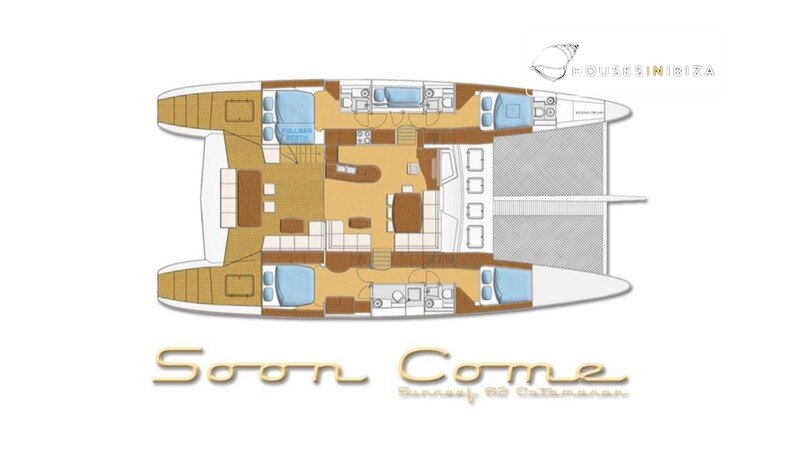 SOON COME is fully air conditioned through out with individual controls in each cabin.